In today’s marketplace, everything is changing at a very fast pace, and it can be tough to keep up with the trends and manage to stay ahead of the competition. Companies of all sizes are undergoing various changes from time to time in order to be able to stay in the game and gain a competitive edge. What’s more, customer expectations are also changing, which is another reason for constant improvement and innovation in order to close more deals and grow a business. These are the main reasons why many business owners opt for a change management strategy called business transformation. Other reasons may be, for instance, changing their business processes, improving their performance, or even merging with another company but, whatever the reason, the primary goal remains – to transform the way they operate their business and ensure profitable growth. 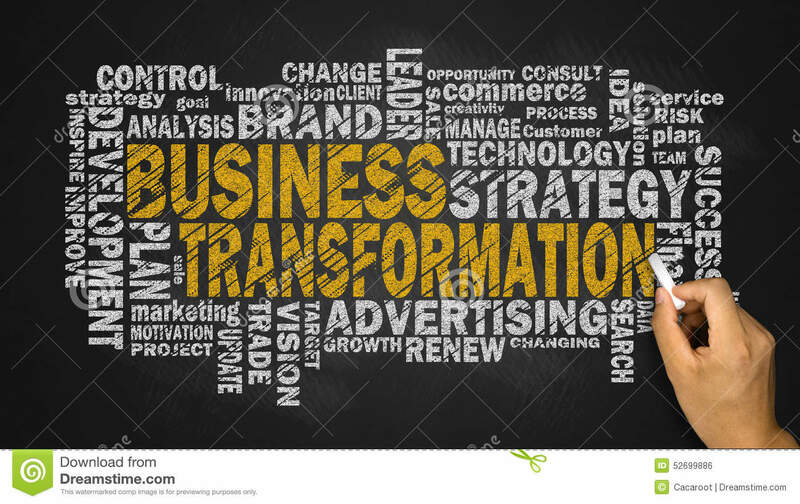 Due to the fact that the greatest percentage of business transformations result in failure, it is crucial to know what you are doing before you dive into one, so make sure you follow the steps below, as they will guarantee a seamless business transformation. This is perhaps the most important step towards a successful business transformation and you should definitely not take it lightly. Without having a clear vision, you are set to fail, because you cannot really develop an effective strategy for implementing all the changes you have in mind if you don’t quite know what it is exactly that you want to achieve. That is why you need to develop a strategic vision and anticipate the scope of your changes. You need to know whether or not certain changes are actually necessary and what may be the potential risks of implementing them, so that you can know how to do everything right. Therefore, having a vision of how you will change your business processes and what your requirements regarding people and resources will be is the most critical step for business transformation. You need to develop a change management strategy and plan every step of the way in order to make sure the strategy is actually effective and that you actually realize your vision. In order to achieve your goals and make the main idea behind your vision come to life, you need to know exactly how you will implement your changes. You need to know what steps you need to take in order to deliver your change program, as well as whether or not you will need additional resources, interims or new employees after the transformation. Planning every little detail will determine your success, especially if you plan on implementing new technology into your business operations. However, apart from planning for the best possible outcome, you must have an alternative plan as well, just to make sure your daily operations continue to run smoothly in case your business transformation doesn’t bear fruit. This is the hardest part of the business transformation process and it’s vital to know that the transformation doesn’t end after the change program delivery. You must keep working on your changes and adapt them as you go, as that will show you which ones are working, which ones perhaps need a bit of adjustment and which ones you should abandon completely. Take control of your changes instead of letting them control your transformation outcome. During the entire business transformation process, especially the execution part, you should not forget about outsourcing, if you happen to outsource some of your work processes. You should not overlook certain change management issues that may occur when outsourcing, so you need to ensure your changes do not negatively affect your outsourcing processes and your outsourcing partners. Therefore, make sure you manage change profitably during outsourcing, so that you reap actual rewards and provide your business with many benefits. In today’s dynamic business world, change is the only constant, so you must ensure you adapt to changes easily in order to stay ahead of your competition, but make sure you always make the right decisions about what changes will benefit you the most and whether or not they are absolutely necessary, as well as whether or not you have the internal capabilities to implement them. Nevertheless, if you dive into the process of business transformation, make sure you follow the aforementioned steps, as they are guaranteed to point you to the right direction and lead you on the right track to success.